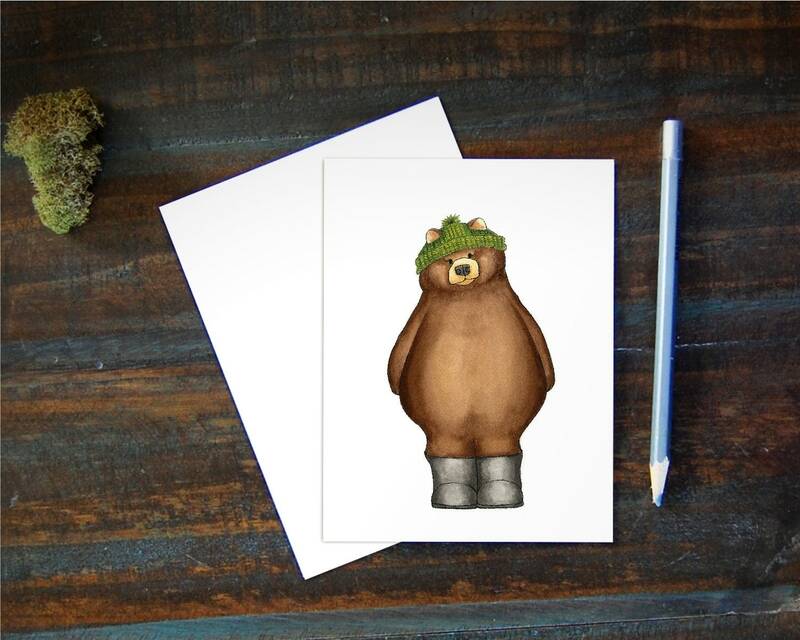 A bear wearing a knit green hat greeting card. This bear is part of my whimsical animal watercolor collection. My woodland stationary features my illustration of a watercolor bear. It is left blank on the inside so you may use it for any occasion you wish! Whether you choose to gift to a mom-to-be at her woodland themed baby shower, graduate of a school with a bear mascot, or just a bear lover. This whimsical little bear is sure to bring a smile to someone's face!